If you haven’t experienced a 360-degree video yet, it’s time to explore and experiment with this promising technology. The best 360 degree cameras for most photographers should be waterproof that can shoot 4K quality. After spending time to research and test, this is a list of the top 10 best 360 degree video and VR cameras and accessories you can buy this year. 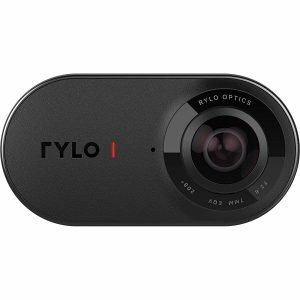 This year, Rylo is the top best 360-degree camera. The 360 camera is easy to use for most people. It’s an amazing camera to shoot 360° videos without compromise. You can also edit videos and live stream on the go. You can expect about an hour of battery life. 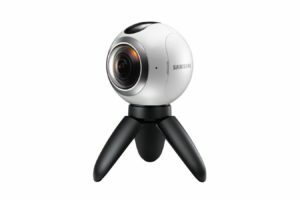 This 360-degree camera by Samsung has a dual 15MP CMOS Sensors. It also has a dual f/2.0 Fisheye Lenses. The Gear 360 is compatible with Google Street View app, which means you can instantly publish your photo sphere to Street View. A fabulous little device that is very portable and easy to use. 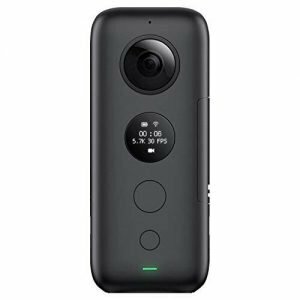 The Ricoh Theta S is one of the most popular 360 cameras. 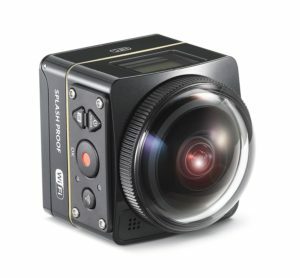 You can capture 1080p HD video at 30 frames per second and 25 minutes of continuous video. The Theta S adds a larger sensor for improved still and video capture. Video recording time increased to 25 minutes, video streaming capabilities and a live view function to your mobile device. 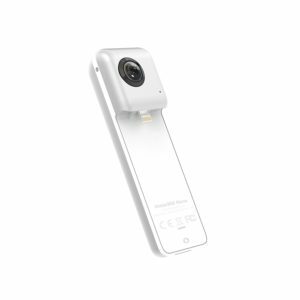 This Ricoh Theta S even has an app for the Samsung Gear VR in the Oculus store for taking and viewing images which works great. 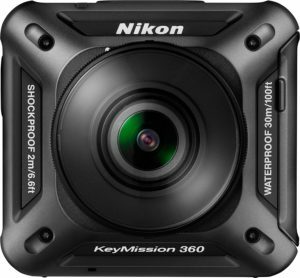 The KeyMission360 is the first in Nikon’s new line of action cameras. This camera features a rugged design and is built to withstand the elements. I’ve been experimenting this all weekend. Pretty solid, does take some video experience to get the videos to work. I noticed the stitching lines distinguishable because of the different exposures to the lighting, one camera may get more lighting because of the sun, than the other. Waterproof down to 100 ft, shockproof from 6.6 ft, freeze-proof, and dust-proof. 360fly designs and creates 360° cameras and technology for people to capture, share and experience their lives in immersive, interactive 360° videos. Interestingly, 360fly started up in a robotics lab out of Carnegie Mellon University. With the 360fly HD, you can shoot, edit, share and live stream life in immersive 360° video—all directly from your smartphone. It’s a camera that captures everything, in all directions, without limits. The Insta360 Nano can turn your iPhone into a 360° VR camera. It’s compatible with iPhone 7, 7 Plus, and iPhone 6/6S, 6 plus/6S plus, or used alone. 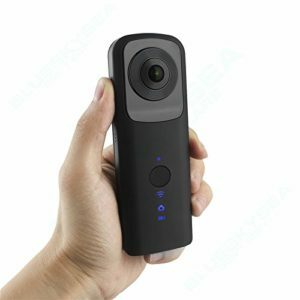 Insta360 Nano is so easy to use – basically one button operation. Once you put in MicroSD card (I use a 64GB), you can shoot without it being attached to your iPhone. Easy to share your 360 videos on social media sites. It’s fine camera if you want a camera for 360 home surveillance. 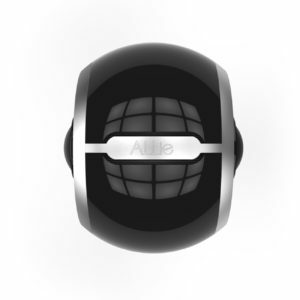 ALLie Home 360 Degree Camera is one of the world’s only 360-degree everyday use camera that is always on so you can see it all. Live stream footage is recorded to the cloud so you can go back and re watch the 360 video you recorded. You can also use the camera as a point and shoot without live streaming. This is a lovely companion camera to have for snorkeling experience holiday. The photos are great, highly recommend at a great price! You could be completely blown away by the quality of the camera for the price but the videos are so clear I’ve captured so many special memories. So with this Banne Panoramic 360 camera, you can enjoy capturing your world with a fantastic resolution anywhere. This camera is very light and easy to carry, whether it is for capture in sport, outdoor, or just indoor in any cozy family events. It’s similar to the Ricoh Theta S in design. The cool thing is it does take an SD card. Easy to use and set up. You can upload to social media and email yourself the stitched photos. It allows for several different projections which are fun to play with. With this 4K resolution camera, you get ample detail, clarity and precision for important nuances you want to capture and share. With this Kodak Pixpro camera, it can take your creative vision to the next level. It offers a simple and flexible solution for 360 Degreex235 Degree, interactive 360 Degree video, complimentary editing software and a host of included accessories to use right out of the box. 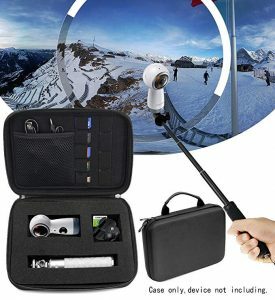 If you need to take a solid picture with the camera, three cases are based, however, for 360 cameras, you need a special tripod type and this is the reason. 360-degree cameras capture the entire situation around you, even below. 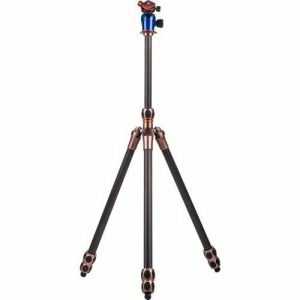 The usual tripod has expanded legs that stands at one edge, this will be very clear in 360 video or video pictures. For the last purpose of this reduction, it requires a three-unit unit that has short legs and no immediate closest to best tripod to 360 cameras. This tripod is really the position of the light that is expected to hold the studio lights, however, the relationship is similar to the tripod. Each 360 cameras will be good with this trip, which is the best 360-frame design. The legs can be adjusted and can be moved to prevent it. The top part of this tripod is basic and nothing surprising will be seen in 360 images / recordings. You can use any lightweight support, but this is the one I use and think it’s long and lasting. Aluminum stand standardized with 360 cameras. Just put the camera in the best way. The title of the VR will allow you to view 360 photos and images as you would like to see, in the real world. The reasons for the 360 cameras have become more prominent in the past year are due to real-life growth, so it is wise to have the head of the VR being able to see your own work how it should be seen. Obviously, you will be able to play vR Recreations and see moving images in 3D. 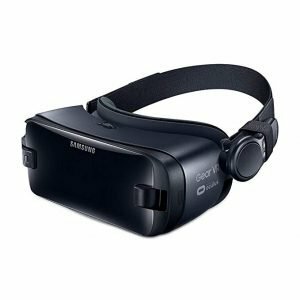 If you have a Samsung smartphone, I suggest Samsung Gear VR, it’s a cheaper alternative for other VR headsets and provides a large part of the same issue. It connects various sensors connected to your mobile phone size to make a great meeting of real facts. You can see a great list of 360 recordings, pictures and amusements and definitely see you. This is the latest revolution that has new features. 360 cameras provide a great document, especially those who shoot at 4K. A 4K 360 video of 1 minute can have a large size of few gigabytes and even images capture a lot of memory. Of course, it will require a maximum amount of memory you would expect if you would like to record a large 360 video. 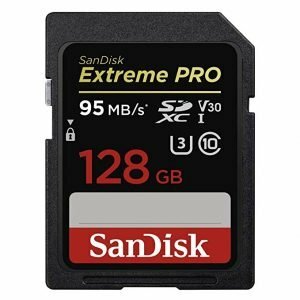 I recommend using a mini SD card of at least 128 gb if you prefer to be short on space. I use this SD card so far I did not have any problems with I’ve never had a chance. If you think you’ll record more than 40 minutes of film without delay, you may need a more SD card. One of the 128GB SD cards that I could access. Suitable for every 360 camera. 360 cameras can defend because they have many points of focus that can be moved off. It is important to get a valid camera while you are using or exporting. Most cameras are accompanied by a small bag, but if you are traveling a long journey or still out, then the most powerful alternate may be needed. This adjustment case is designed to create all kinds of camera cameras or 360 cameras with extra batteries, tripods, chargers and ties. The middle foam is made of squares, so, by paying less attention to your camera situation, you will be able to deal with the situation. External partner is extreme and permanent, so you realize that your camera will be protected. Adjustable camera and edge that can be adjusted for 360 cameras and accessories. There are a variety of 360 camera devices that will allow you to take the best picture and 360 media experience in the best way. These are the best 360 camera devices available for this step. As digital photography continues to evolve, this is our exciting time with technologies like action cameras, drones with cameras, 360 video cameras. 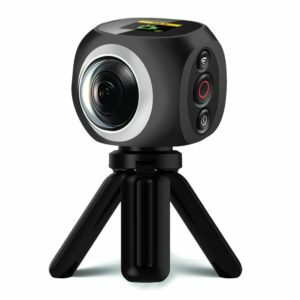 With the best monoscopic 360 camera, we can take immersive, spherical photos or videos where every angle of the scene at the same time. The 360-degree camera industry has been dominated by GoPro ever since GoPro essentially created the idea in the early 2000s. Other manufacturers include Sony, Garmin, TomTom, Ricoh, 360fly, and Nikon. I believe this list of the best 360 degree cameras will help you get the right one for yourself.